I’ve been going to the area near Lake Wenatchee for many, many years. However, I think I have only been to the lake 3 or 4 times in my life and the last time was well over 10 years ago. My hubby and I just got paddleboards and we were itching to use them. He was curious about Lake Wenatchee since he has never been there so we thought we would head east of the mountains to check it out. The weather on the east side is usually warmer and drier than Seattle but the weekend forecast called for high winds and afternoon thunderstorms. We decided to wait, held our breath, and came up with a plan B. The day before we left, we got lucky. The weather forecast cleared up some.. 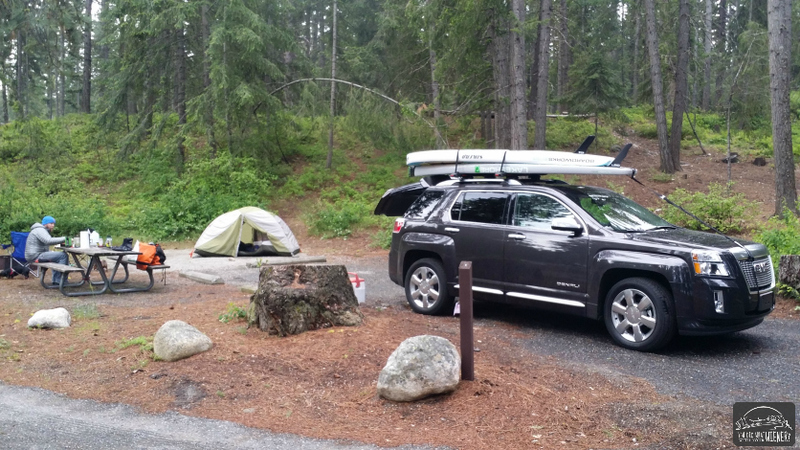 It was still a bit of a gamble but we strapped the paddleboards onto the Denali Terrain GMC loaned us and headed for the mountains anyway. This was our first camping trip of the year and, boy, was it a glorious way to kick of the season. I can’t think of one way it could have been better. When we got there, we checked out the north campground first. We were ready to randomly pick one of the look-alike camp sites but I insisted on checking out the south campground to see if we could get closer to the lake. I am so glad we did! We found a camping spot with a partial view. In two more weeks this popular campground would be totally nuts and over-run with kids, people, and dogs but we practically had the whole thing to ourselves. It was so peaceful and quiet. I absolutely could not believe how lucky we were. 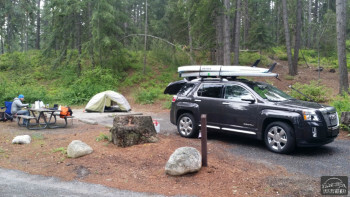 I would count this as one of the best car camping experiences ever. The lake view was amazing when we got there but the sunset was particularly spectacular (you’ll see the sunset one in our next post). There were a few other people on the beach and I overheard one woman with a serious camera say that it was unusual for the water to be so glassy. In fact, one of my hubby’s friends said there were gale-force winds at the lake just the day before. Apparently there is usually enough wind there in the afternoons for people to go kiteboarding. Again, we were amazingly lucky. It rained a little that night but only enough to help break the silence and make it easier to sleep. 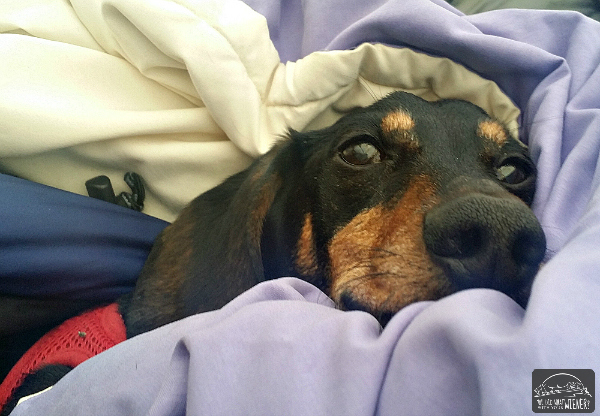 It’s funny but one of my favorite things about camping with Chester and Gretel is taking photos of them inside the tent in the morning. The nylon walls soften the bright light and they always look so snuggly. I also love the idea of waking up with them next to me “in the wild”. The morning brought sunny skies and by the time our friends arrived to go paddleboarding it was getting hot. It looked like our gamble paid off. 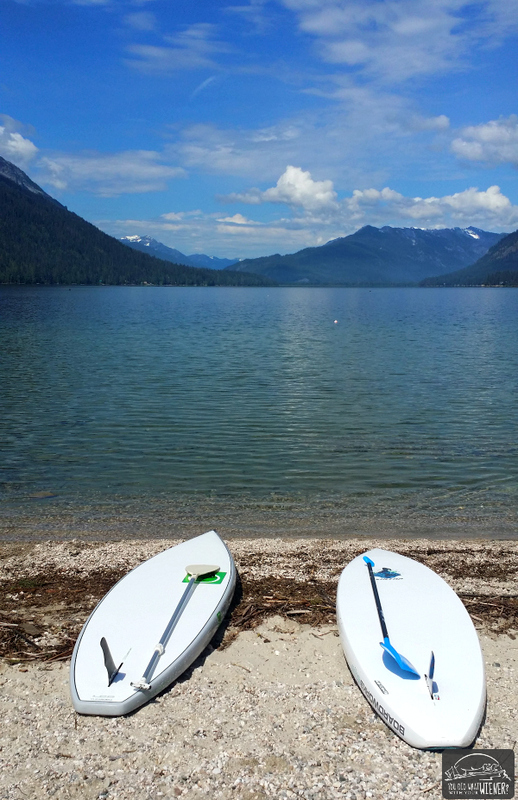 Read about the rest of our trip (and see that sunset) here: Paddleboarding The Day Away on Lake Wenatchee. I love camping there. I hope you beat the bugs as they can be pretty nasty later in the year. My wife is a long time paddle boarder here in the sound. She would love to go out with you some time. The one time we put Murphy on the board, he ran off into the water and paddled ashore. No board for him! And he hates getting wet. See? Another reason we got lucky. There weren’t any bugs! I would be happy to go paddleboarding with your wife. We haven’t tried the sound yet but want to. We would probably go without the dogs the first couple times to get used to that kind of water. Feel free to give her my email or send me hers. Wow, you were very blessed on this trip. And I’m with you. 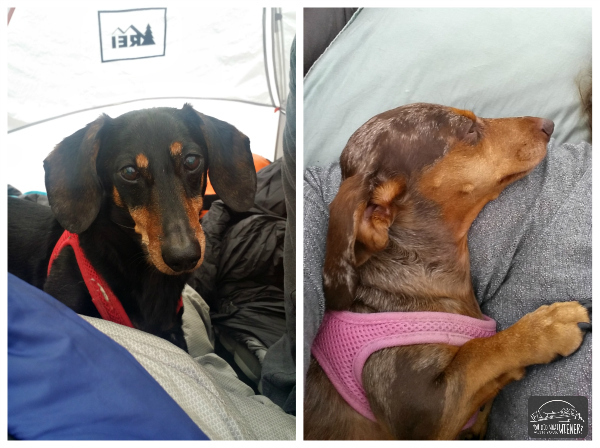 There’s something special about sleeping with dogs in a tent. I think it’s because having a little less separation from nature brings us closer to dog nature. Sometimes I’ll even pitch a tent in the backyard just to enjoy more of a breeze at night. I love Lake Wenatchee. We went once with Rodrigo and Sydney and had a blast. I would love to go again and camp (we rented a house). I know we won’t find a house that will allow 4 dogs so I’d love to find a campground in the area. The car looks great. I’m going to buy a new one next year and I need one that will be comfy for 2 humans and 4 dogs. Fingers crossed! You never know about a place that allows that many dogs. I would check on AirBnB. Plain is very close to there and there are rental cabins in that area too. Gorgeous, how wonderful you lucked out. 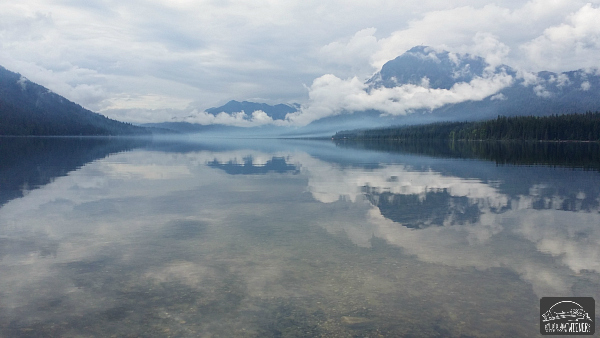 I’ve camped Lake Wenatchee before when a big storm suddenly swept through. It was still pretty. And now you’ve reminded me how refreshing and sweet tent camping with the doggers can be … I’m adding “tent” to my next trip packing list even though I’ll be in an RV. I am not sure I would sleep in a tent if I owned an RV but that would be kind of a down side to it…I wouldn’t camp in a tent anymore. Looks like you guys had a wonderful time! Those photos look so lovely too. I’m so glad it’s warm enough to go camping and exploring again here. Thanks so much for sharing these! Where are you at? It’s been unseasonably warm here in Western Washington. Still, this was our first trip out this year. Its looking like we will have a lot of sunny days this summer so I hope to camp more than last year (which won’t be too hard). What lovely views. My husband, I and our dog often go camping on the other coast, New England. I always seem to sleep so well when we are camping. One of the joys of life is outdoor camping with your dog(s). Hope to do more soon.